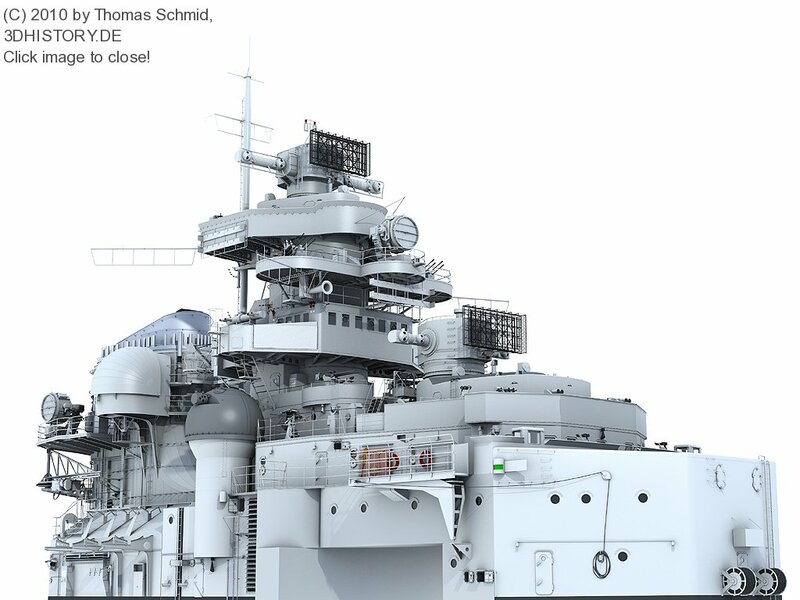 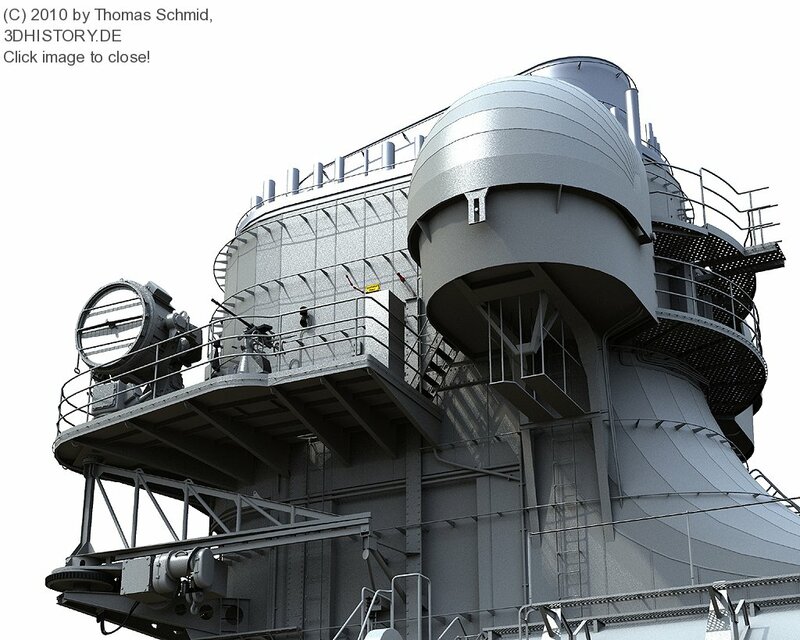 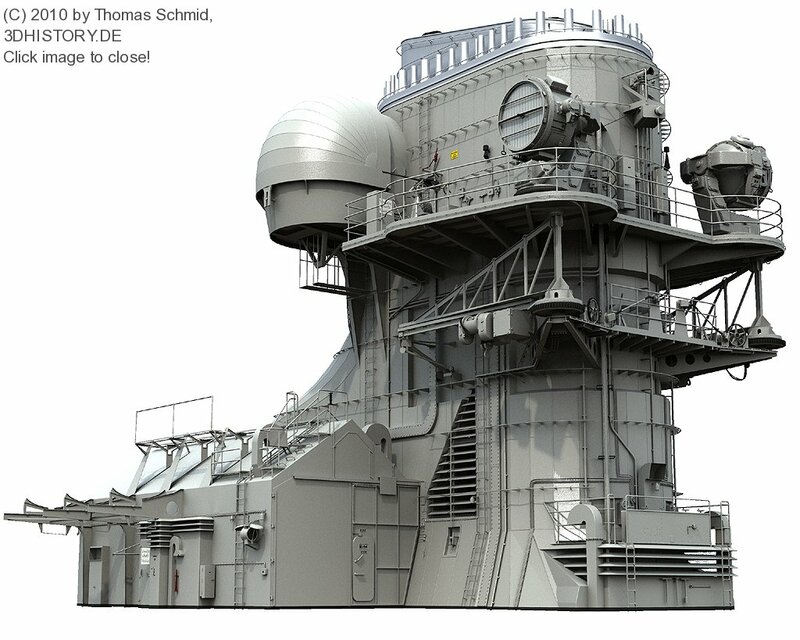 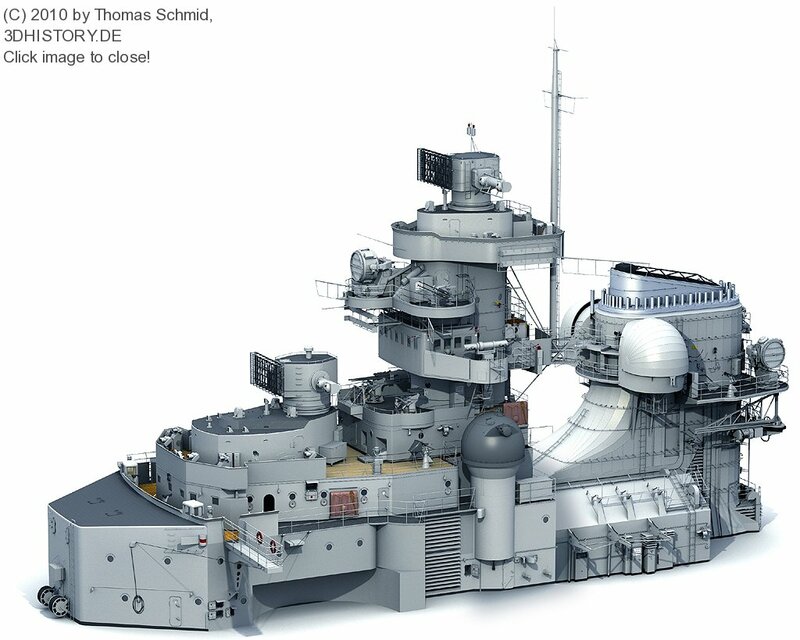 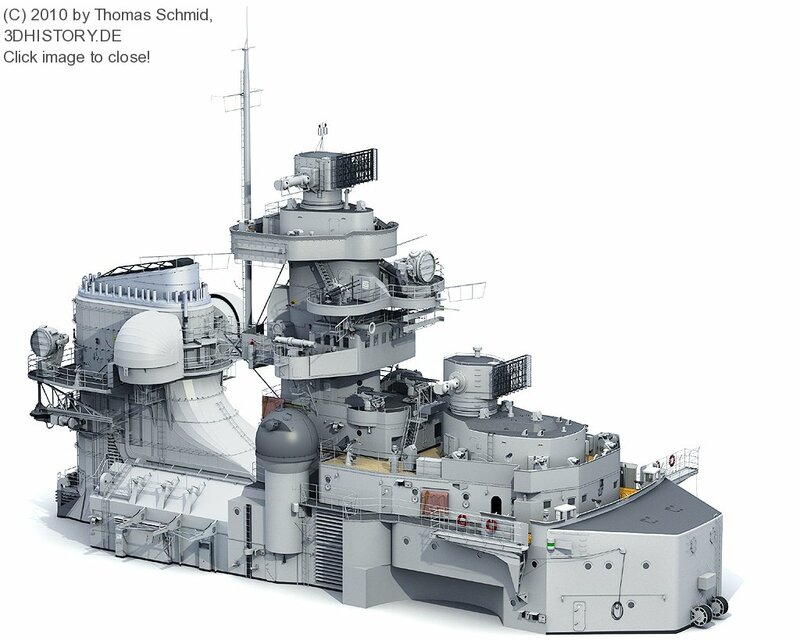 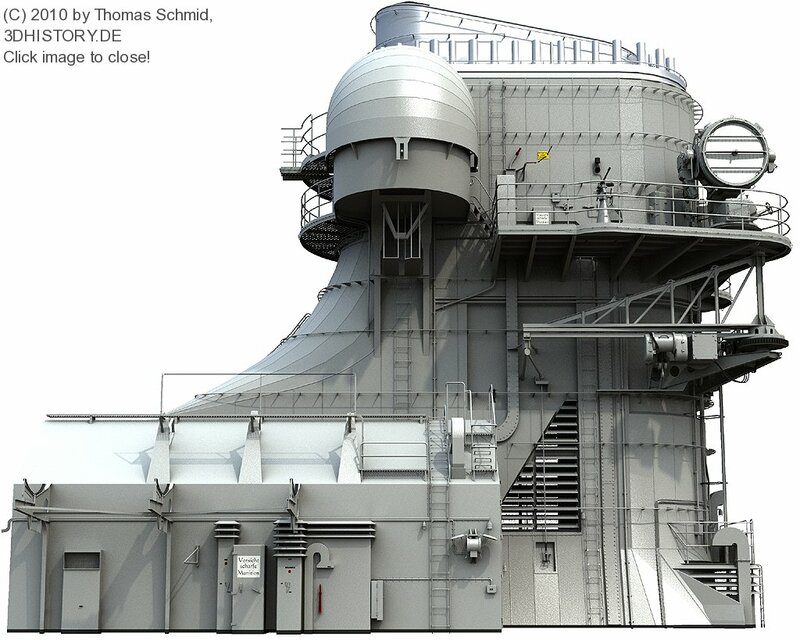 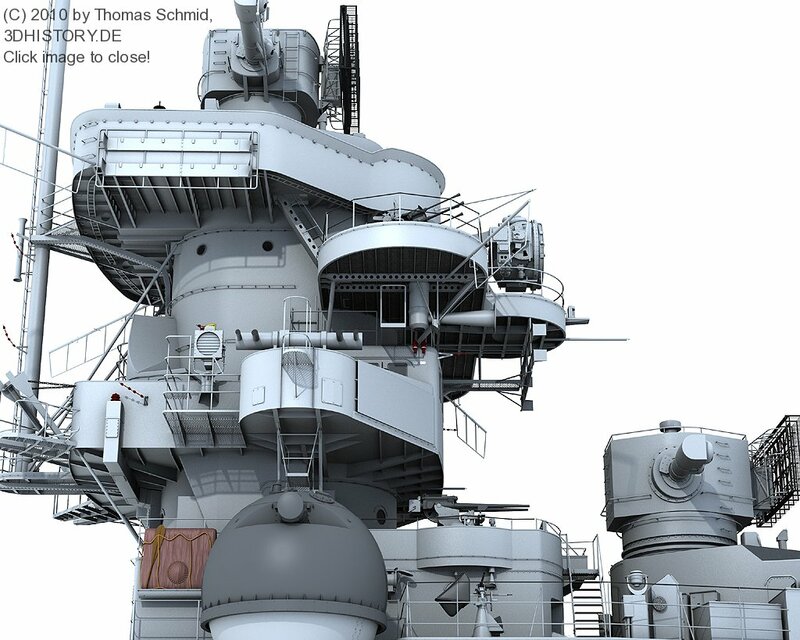 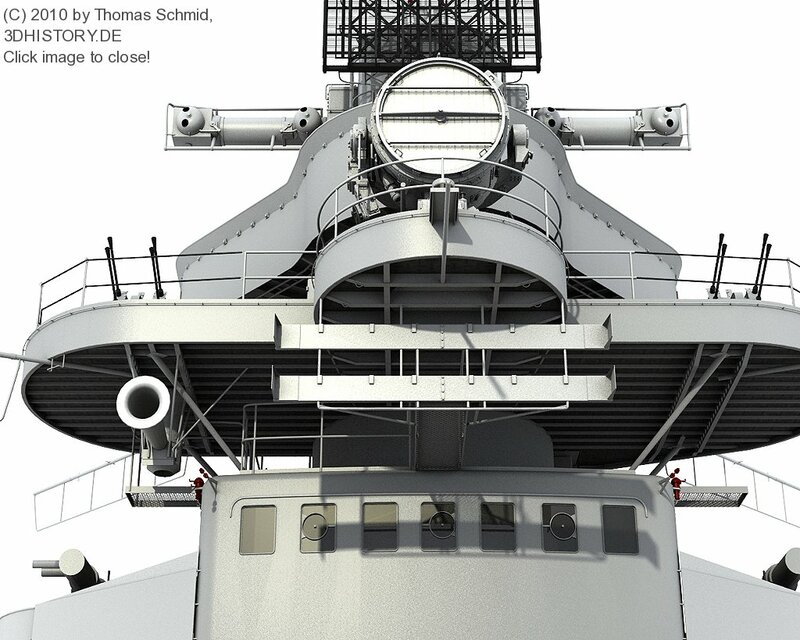 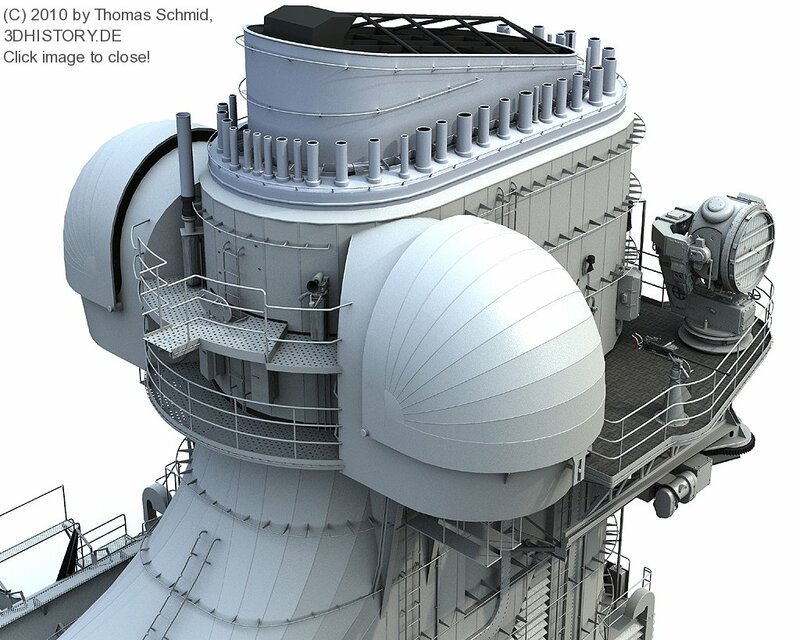 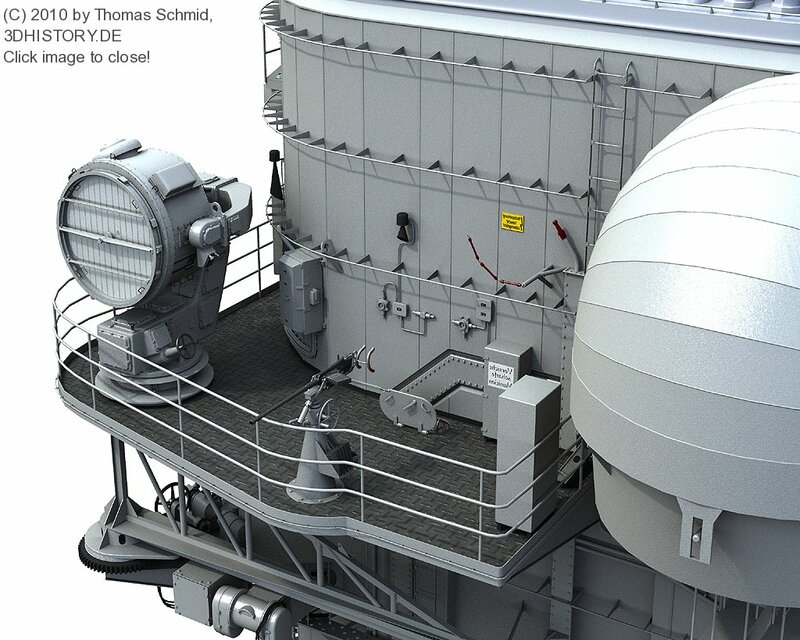 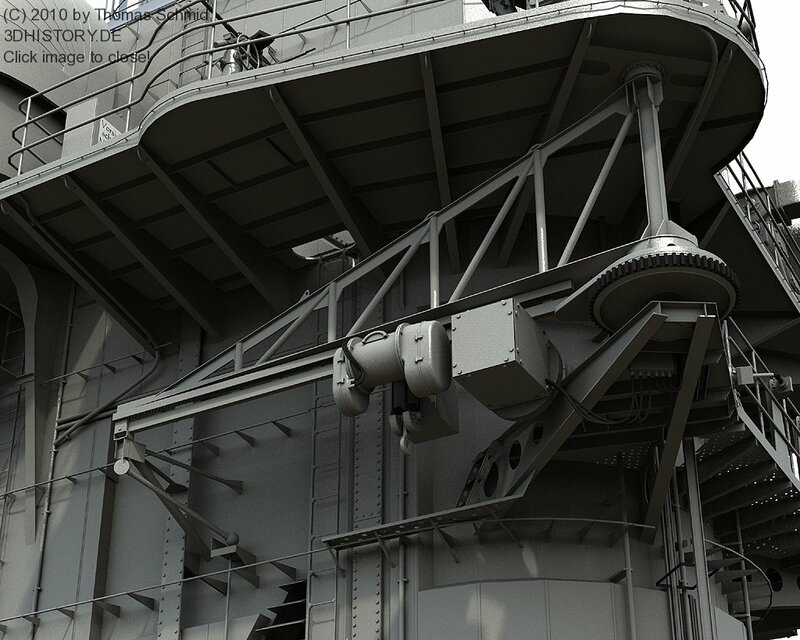 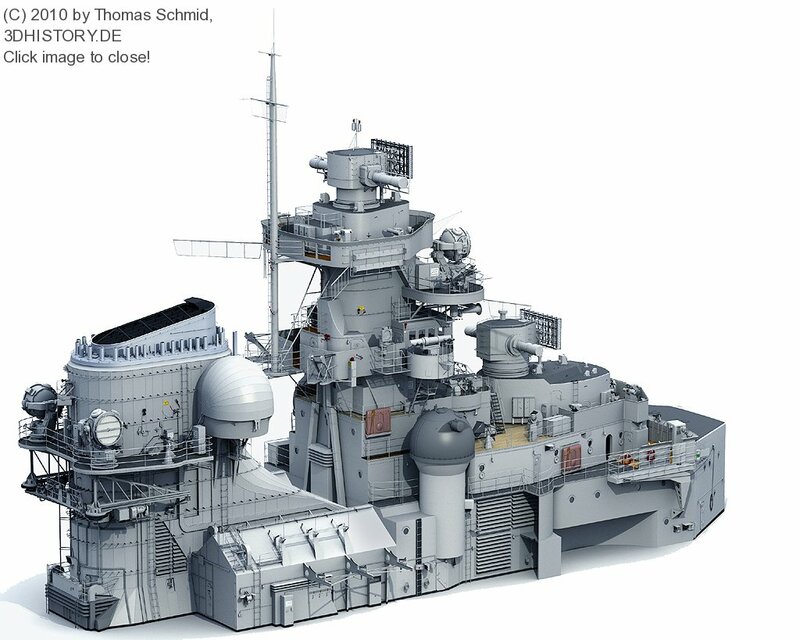 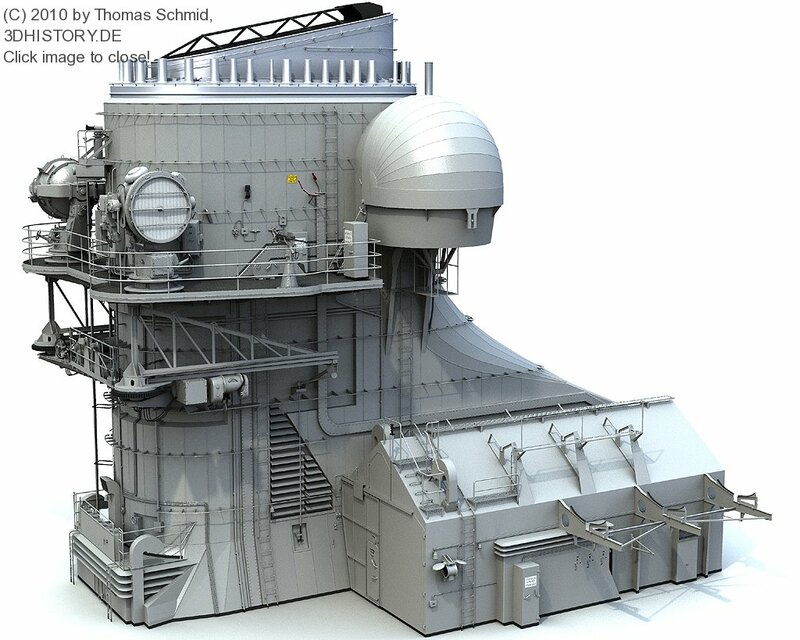 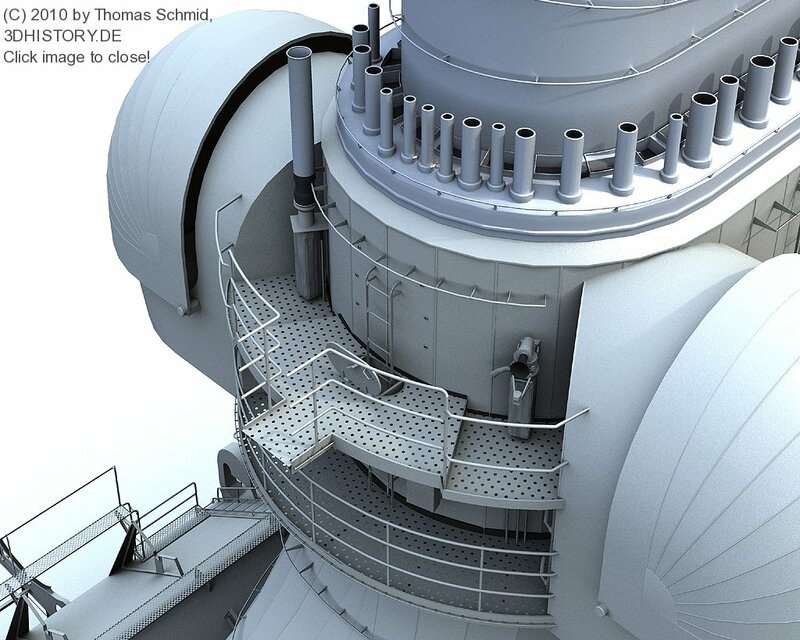 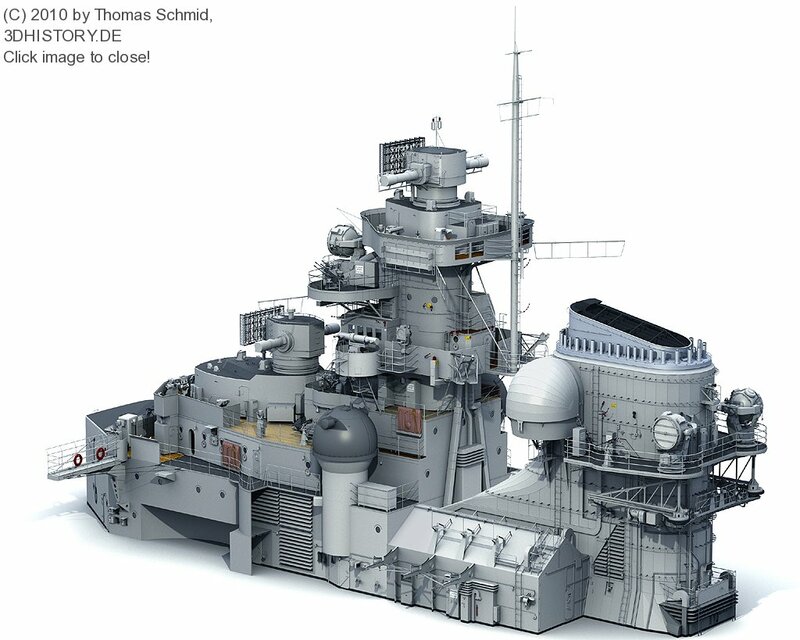 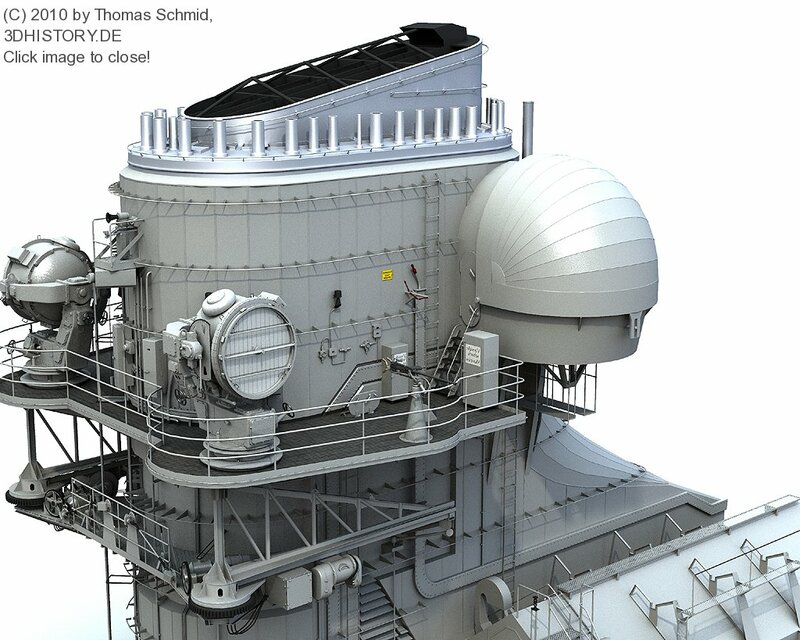 The high res model of Bismarck is designed to be used as a digital set for live action shooting. 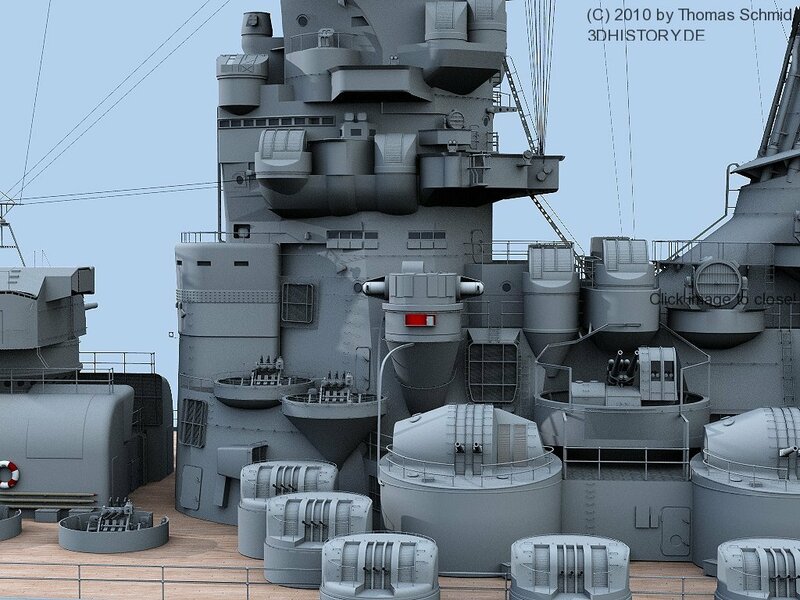 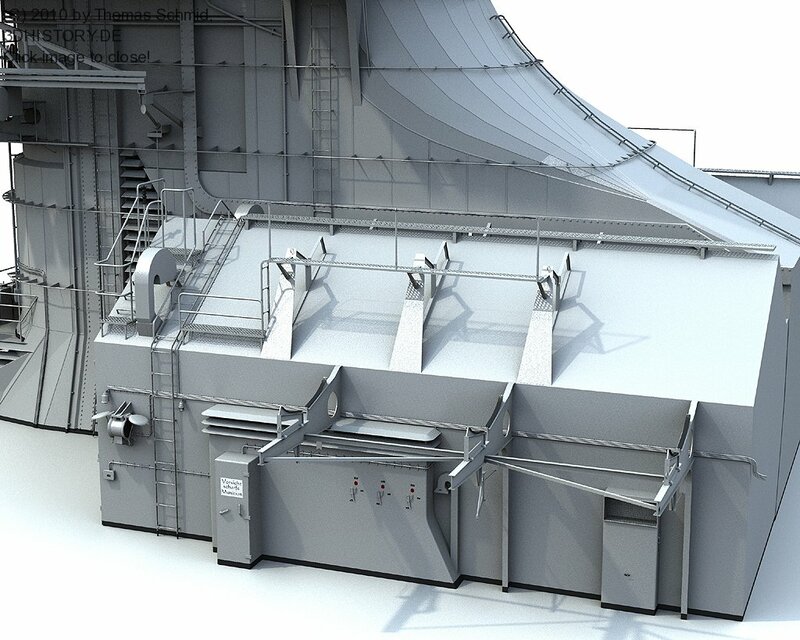 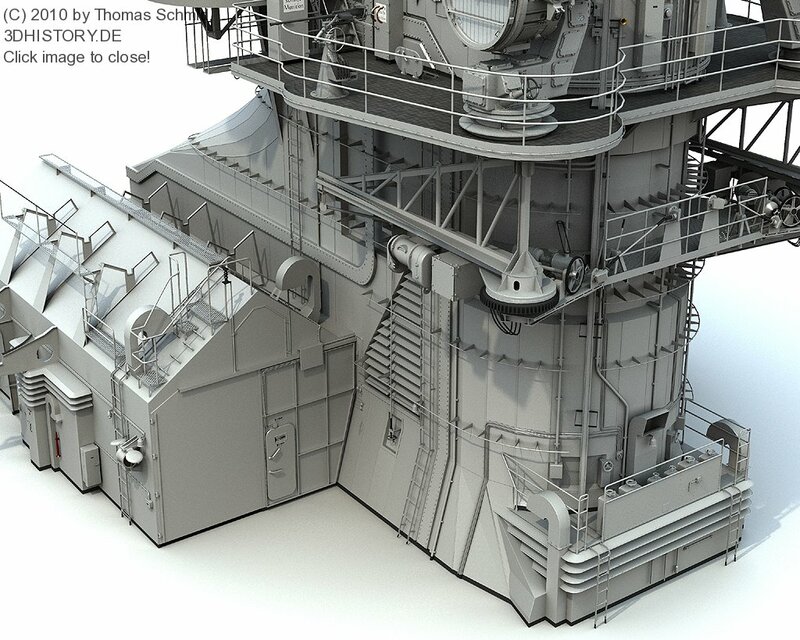 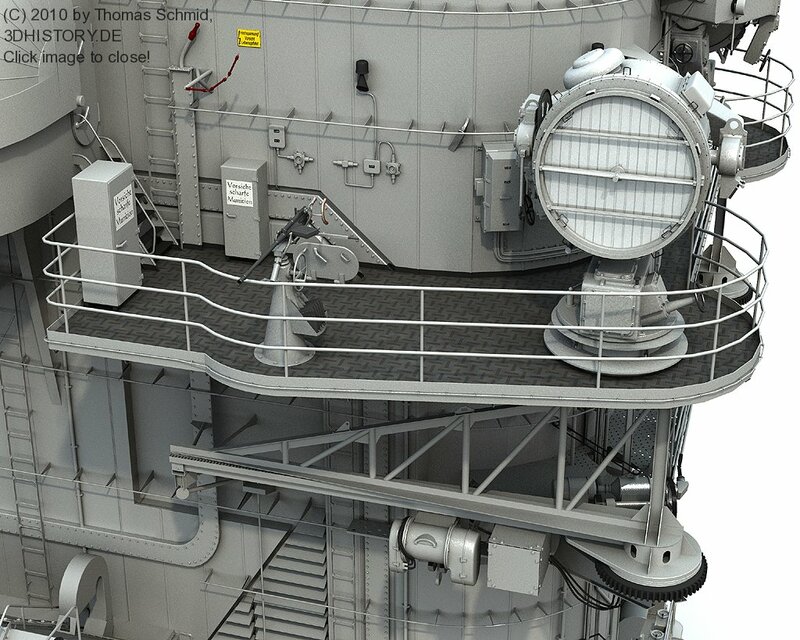 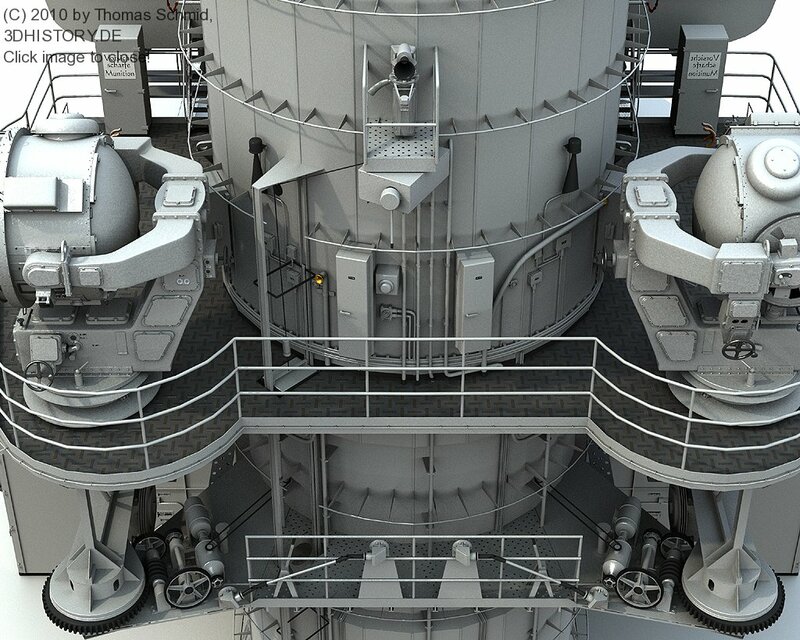 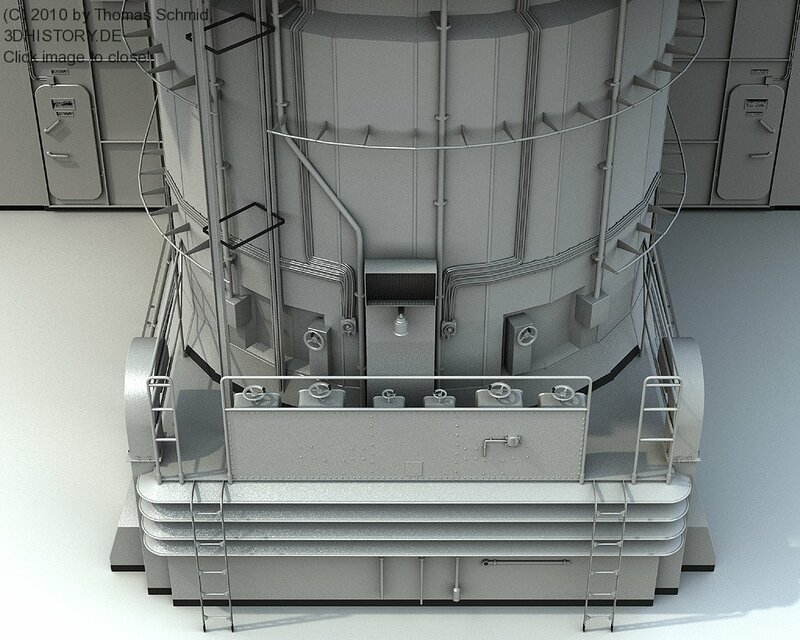 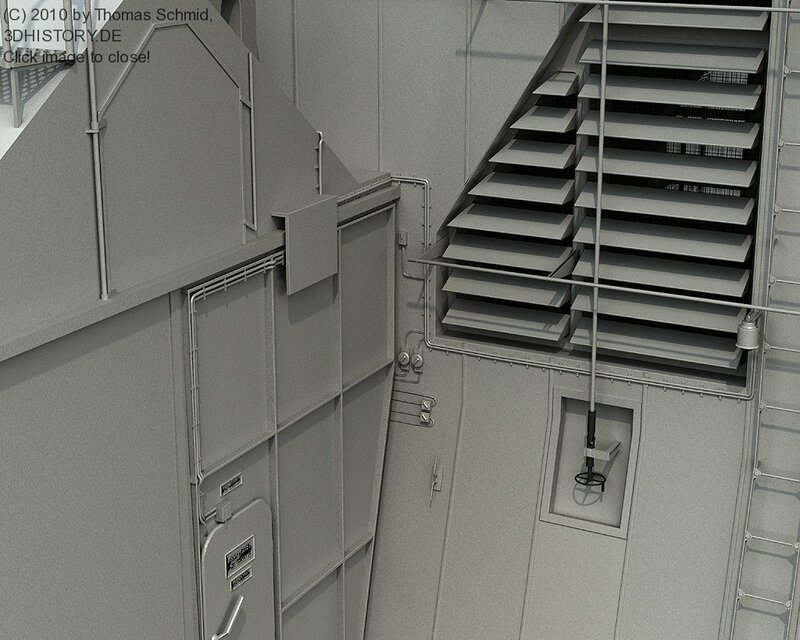 To full fill this goal every detail of the ship has to be accurately modeled. 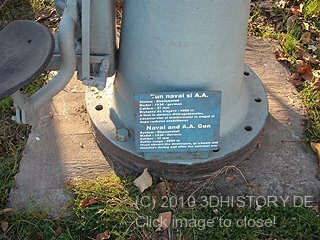 From lamps, cables down to warning signs.� Everything!